It is said that the skin mirrors what the person is inside. 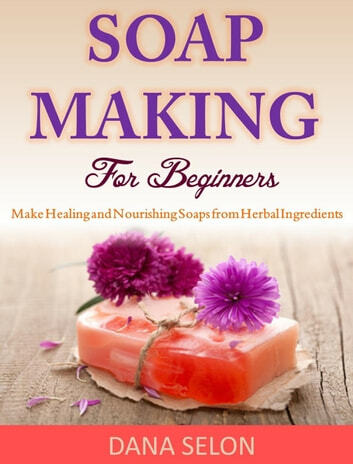 If you are looking for a safe and healthy option for your family then Herbal Soap Making For Beginners is the right book for you. It is safe and healthy and is an essential part of what comes under truly taking care of yourself and your family. What could be better than making your own soap and deciding what you put in it rather than narrowing your eyes at the ingredients and wondering the lay man terms for half of the scientific names of the ingredients listed are? Why rack your brains at the supermarket aisle when you can just make your own soothing and healing herbal soap? A lot of people modify the soap recipes to insert their own natural ingredients of preference or of a personal favorite scent. That does not stop the soaps from doing its work; what’s more is that you add a personal touch to it and reap the benefits you desire. 1. Benefits of natural herbal soap to the human skin. 2. Quick and easy recipes for herbal soaps made with organic ingredients. 3. Detailed information about the equipment used in the homemade soap making processes. 4. An introduction to the various natural ingredients and herbs and their effect on the human skin. So just flip over the page and start down the road that leads to better skin care by the complete knowledge on all things linked with herbal soap making 101. Essential Oils: A Beginner’s Guide to Essential Oils. 200+ Essential Oils Recipes & Tips!